2-2. SPECIAL TOOLS, TMDE, AND SUPPORT EQUIPMENT. Special tools. required for unit support are listed in appendix C. Fabricated tools are listed and illustrated in appendix E.
2-3. REPAIR PARTS. 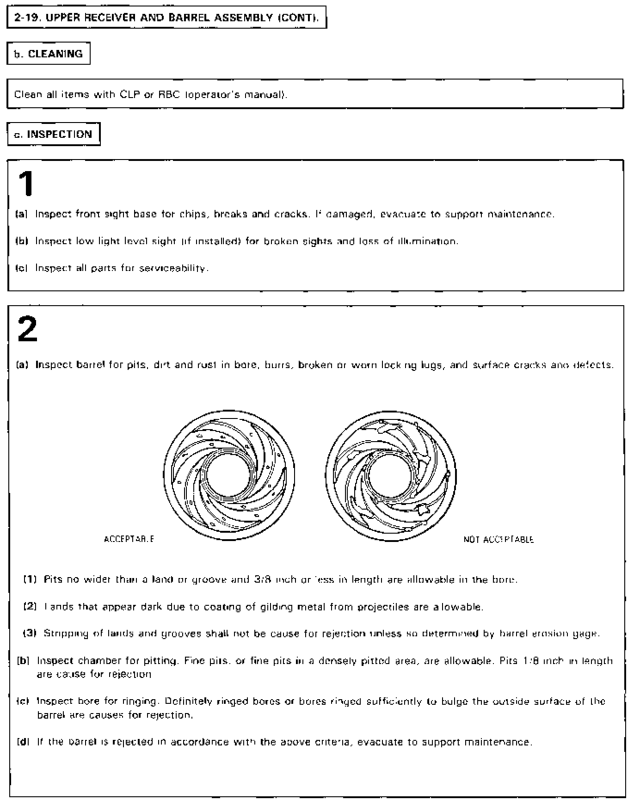 Repair parts are listed and illustrated in appendix C of this manual. Army users submit an SF 368 (Product Quality Deficiency Report) to: Commander, U.S. Army Armament, Munitions and Chemical Command, ATTN: AMSMC-QAD-I, Rock Island, IL 61299-6000. Air Force users submit Materiel Deficiency Report (MDR) to: DIR MAT MGT ROBINS AFB GA//MMlBTC// and Quality Deficiency Report to: DIR MAT MGT ROBINS AFB GA//MMQA// IAW Technical Order 00-35D-54. Coast Guard users submit PQDRs (SF 368) in accordance with COMDTINST M4855.1 to: Commandant, U.S. Coast Guard (G-000-2), Washington, DC 20593-0001. 2-5. SERVICE UPON RECEIPT OF MATERIEL. Refer to the following table.